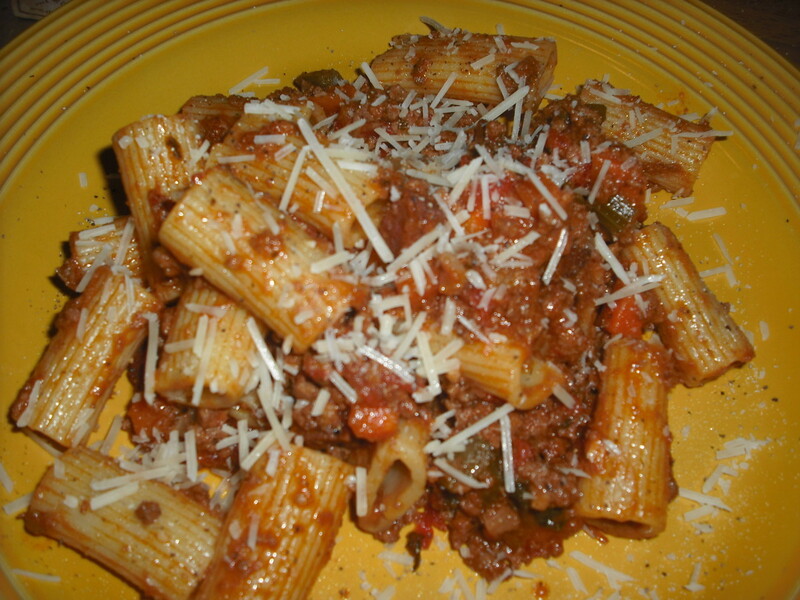 Bolognese is a meat sauce for pasta that originated in Bologna, Italy. 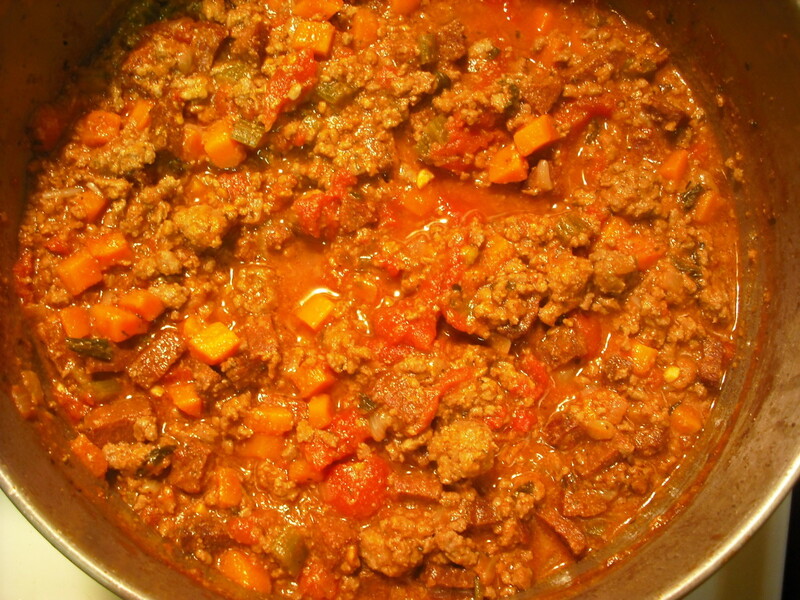 Traditional Bolognese sauce is made up mostly of meat, with vegetables and a small amount of tomato, as opposed to the typical tomato-based pasta sauce, such as a marinara. Bolognese sauce is also slow-cooked over a pretty long period of time, which means this is not a recipe that can be made at the last minute! Variations of Bolognese have become popular world-wide, and are often referred to as “Spaghetti Bolognese” or “Spag-Bog.” Despite the global popularity of serving Bolognese sauce with spaghetti, this is not done in Italy, as the sauce tends to be too heavy for this type of pasta. 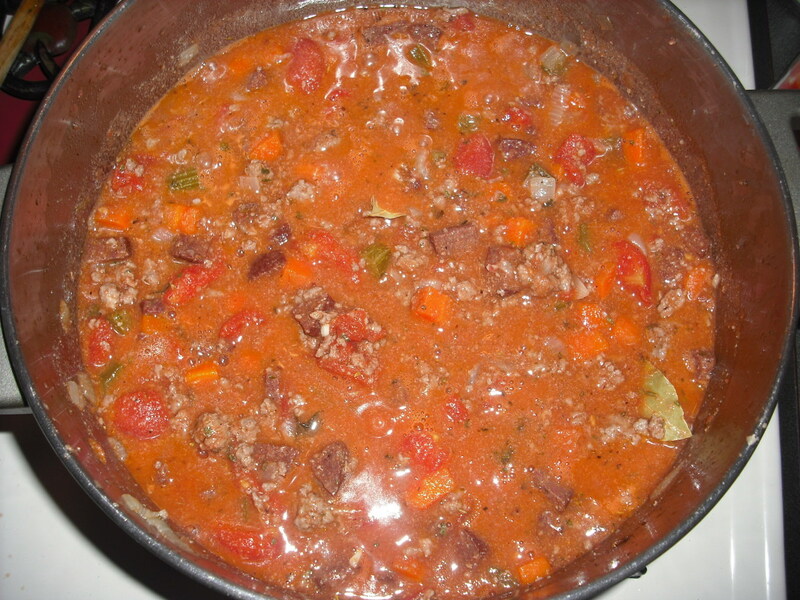 Bolognese sauce, or Ragu alla Bolognese, is usually served with tagiatelle in Italy. Another traditional preparation for Bolognese sauce is to use it in lasagna, which is then topped with a Béchamel sauce to make Bolognese-style lasagna. 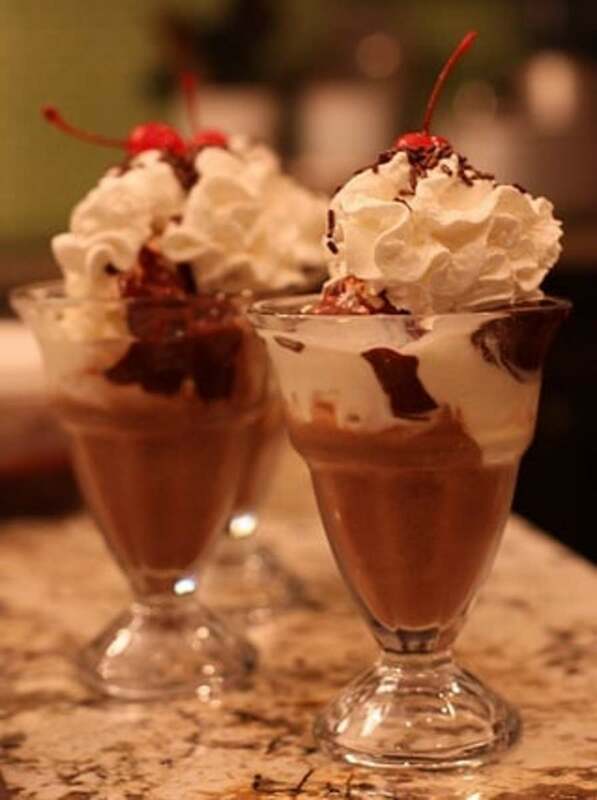 The recipe below is prepared using traditional ingredients and cooking methods, but with several substitutions to make the recipe suitable for those following a halal diet. 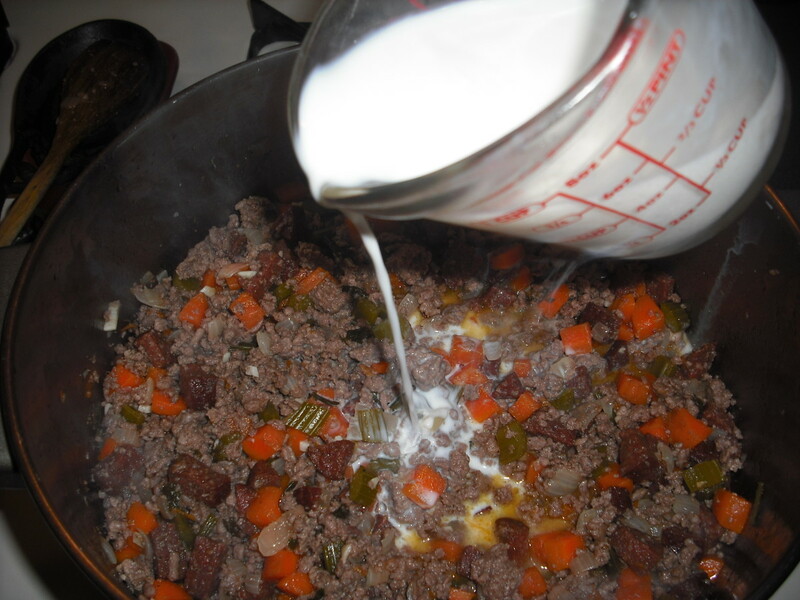 Bolognese sauce traditionally calls for the use of diced pancetta. This is sometimes substituted with bacon. 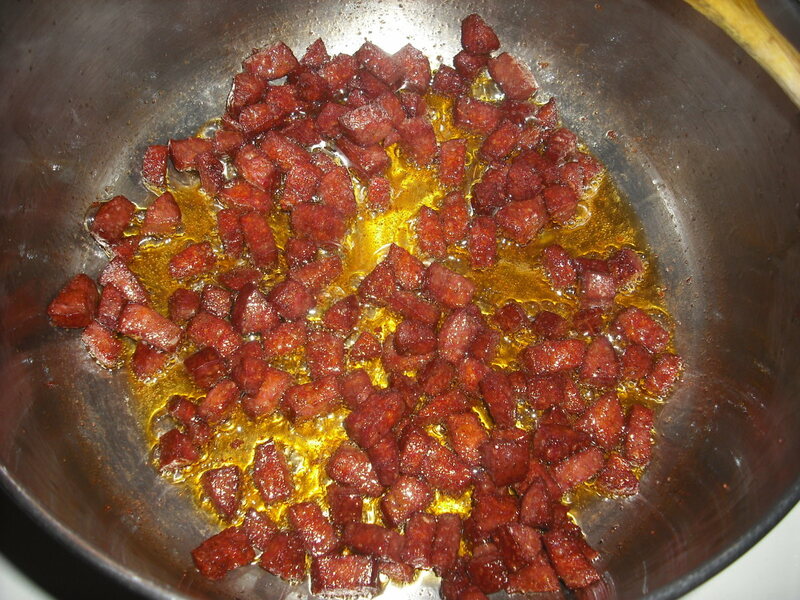 In this halal version, I have substituted the pancetta with soujouk, a flavorful and versatile halal sausage. You could also use halal beef bacon, for a slightly more traditional flavor. 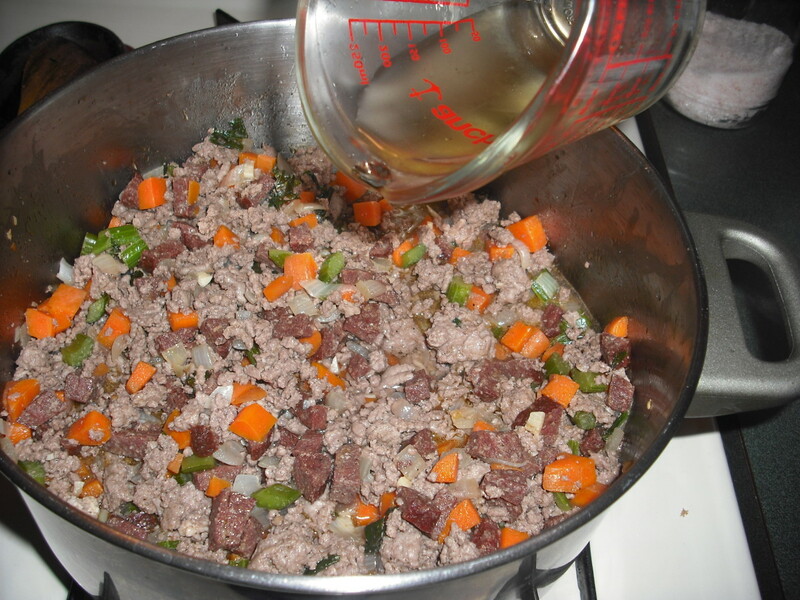 Wine (traditionally white wine) is another important ingredient in Bolognese sauce. In this version, I have substituted white grape juice for the wine. Now, I know putting grape juice into a pasta sauce sounds pretty weird, but oddly enough, it works! 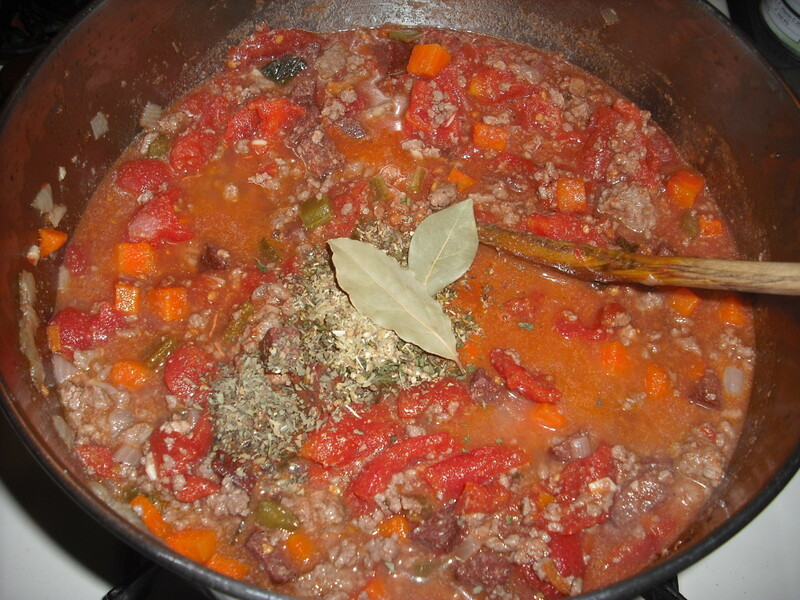 This is because of the way that Bolognese sauces are prepared, by cooking the meat in first wine (juice, in this case), until all of the liquid is cooked off, and then in milk—again, until all of the liquid is cooked off—before adding in the tomatoes. The only other substitution to note is, of course, to be sure that the ground meat you use is halal. You can use nearly any type of meat you like, just be sure to get lean meat. This is pretty easy when buying halal meat, as halal meat in general tends to be leaner than meats found in the average grocery store. 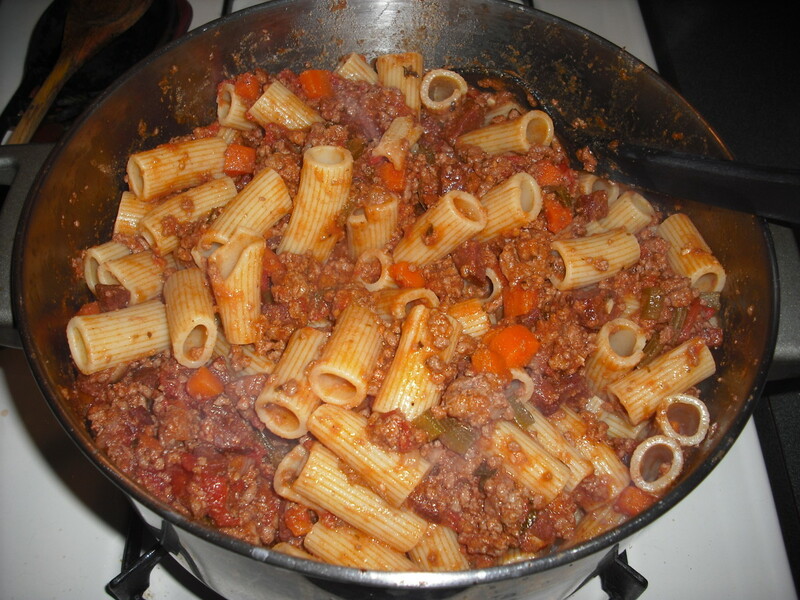 Because Bolognese sauces are so thick and chunky, it is best to use a heartier pasta to accompany the sauce. Try tagiatelle, rigatoni, or another fun-shaped pasta like cavatappi. You may serve the sauce in a small mound on top of the pasta, or mix the pasta and sauce together before serving. When serving the dish, be sure to offer shredded parmesan for sprinkling on top of the pasta, and warm garlic bread for scooping up the sauce! Heat the oil in a large heavy pan over medium-high heat. Add the soujouk and fry until crisp around the edges. Add the onion, celery, carrots, garlic, salt and pepper. 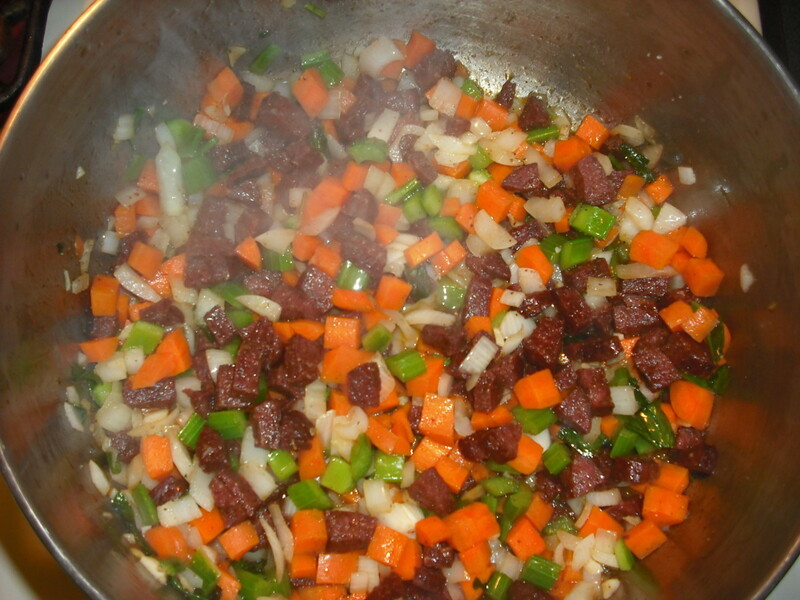 Cook, stirring frequently, until the vegetables begin to soften, about 5 minutes. 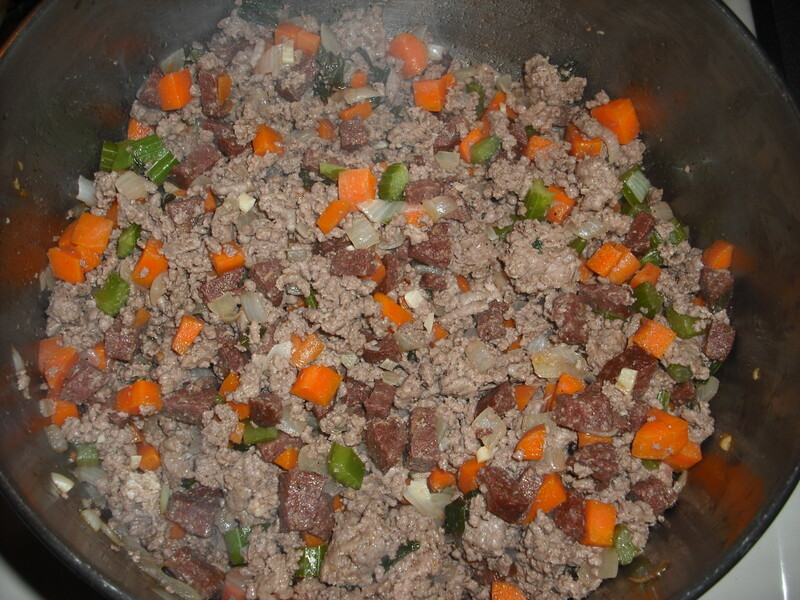 Add the ground beef or veal and cook just until the meat is no longer pink. Add the white grape juice to the pan and cook, stirring occasionally, until all of the juice has evaporated. Reduce the heat to medium. Add the milk and nutmeg. Cook, stirring frequently, until all of the milk has evaporated. Crush the whole tomatoes with your hands, then add to the pot along with the tomato paste, parsley, basil, oregano and bay leaves. Stir well. Bring the sauce to a boil, then reduce the heat to a very gentle simmer. Cook, uncovered (or partially covered), for 4-8 hours, stirring occasionally. Serve hot, over al dente pasta. 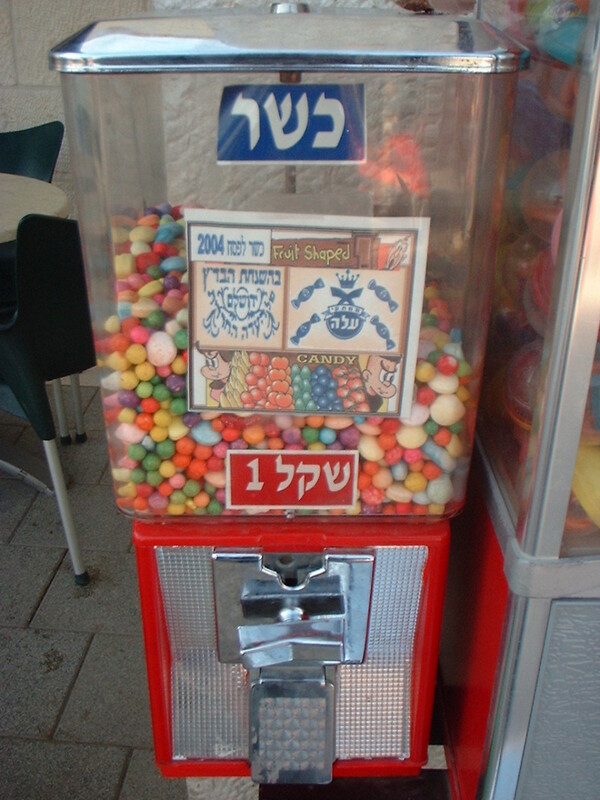 Kosher and Halal. Same or Different? Your images are helpful. Thanks for sharing. Thanks! This is definitely a sauce that is well worth the time and effort of preparation. 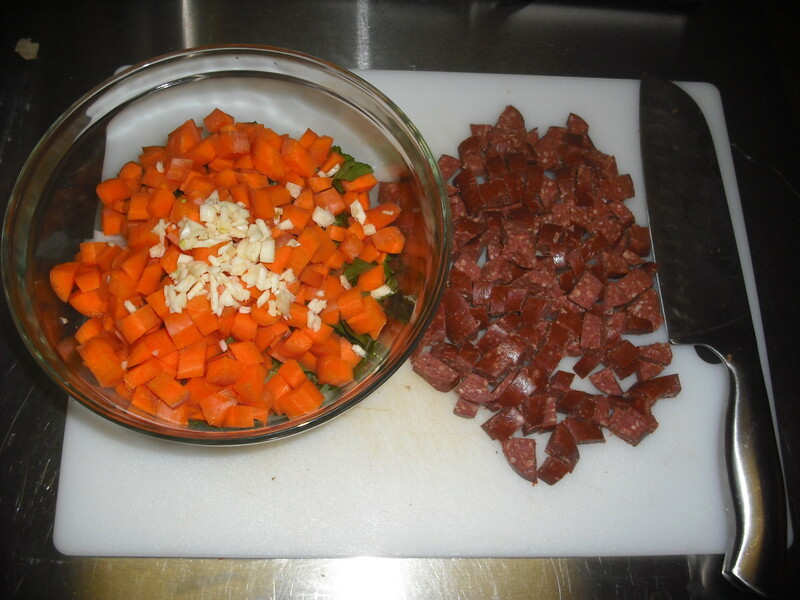 This recipe for Halal Bolognese sauce looks really good. 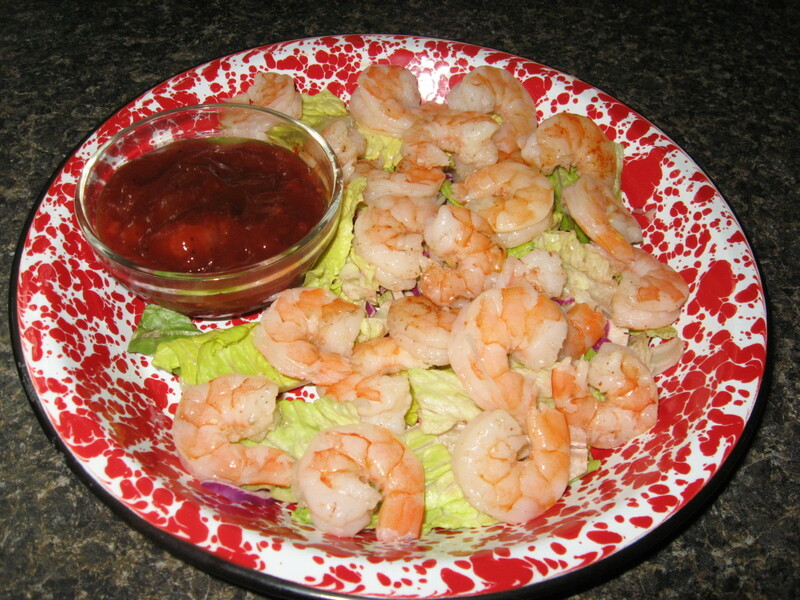 The many images help to show how this recipe is made as well as how delicious the sauce looks.